Occasionally there may be a need to report emergencies that involve the Oceanside Water District. Examples of emergencies may be leaks in the water delivery system or it might be no water service for a property. 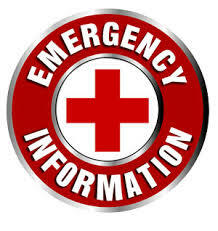 If the emergency occurs during regular hours the best number to call is the one at the Water Plant (503-842-6462). If the call is not answered leave a message and the call will be returned. Other calls that can be made are to the two water operators for the District. Please understand that their work for the District takes them to areas in and between the communities served where there is either not a cell signal present or it is so weak that voice communication is not possible. Therefore, there may be a need for a message to be left. Messages are checked on a regular basis and calls will be returned and problems will be fixed in a timely manner.